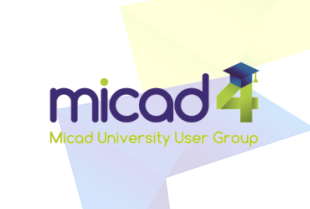 Micad are committed to ensuring your data is handled appropriately and that our services meet the latest GDPR requirements. Micad Systems UK Ltd, Company Registered Number: 2121580 and Registered office address, Unit 8 St George’s Court, Dairyhouse Lane, Altrincham Business Park, Altrincham, Cheshire WA14 5UA. Please read the following carefully to understand our practices regarding your personal data. By using our website www.micad.co.uk (our ‘Website’) you are accepting and consenting to the practices described in this policy. •Your personal contact details including your full name, postal addresses, telephone number(s), title. •Personal account information when you register to use our services or purchase our products, including user-names and passwords and security information. •Information acquired/provided through our Website www.micad.co.uk. 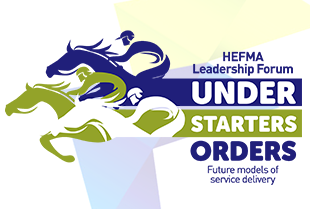 This includes information provided at the time of registering to use the Website, subscribing to our services, personalising the Website with your preferences, participating in discussion boards or other social media functions, posting material or requesting further services. We may also ask you for information when you attend an event www.micad.co.uk, or when you respond to a survey and/or when you report a problem with the Website. •Information about your online browsing behaviour on our Website and Mobile Apps and information about when you click on one of our adverts (including those shown on other organisations’ websites). •Information about any devices you have used to access our services (including the make, model and operating system, IP address, browser type and mobile device identifiers). •If you contact us either by telephone, email or letter, we may keep a record of that correspondence or make a note of our discussion. If you send us personal information which identifies you via email, we may keep your email and email address. We may also collect information that is available from your browser. •We may ask you to complete optional surveys for research purposes. •Details of transactions you carry out through the website and of the fulfilment of your orders. •Details of your visits to the Website including, but not limited to, traffic data, location data, web logs and other communication data, and the resources that you access. •Details of your access to our online resources or other materials. •Your personal details, contact details, CV and details of your skills, qualifications or experience if you are applying for a job with us either via our website, by email or letter or via a recruitment agent. We may collect information about your computer or device, including where available your IP address, operating system and browser type, to enable us to offer technical support and detect fraud. This is statistical data about our users’ browsing actions and patterns and does not identify any individual. We will not transfer any of your data to any third parties without your permission. •if we are under a duty to disclose or share your personal data in order to comply with any legal obligation, or in order to enforce or apply our Website Terms & Conditions and other agreements; or to protect our rights, property, or safety of our employees, our customers, or others. This includes exchanging information with other companies and organisations for the purposes of fraud protection and credit risk reduction. The data that we collect from you is stored, inside the European Economic Area (‘EEA’). It may also be processed by staff operating outside the EEA who work for us or for one of our suppliers. Such staff may be engaged in, among other things, the fulfilment of your order, the processing of your payment details and the provision of support services. By submitting your personal data to us, you agree to this transfer, storing or processing. The data that we collect from you is stored in the UK. We know how important it is to protect and manage your personal data. This section sets out some of the measures we have in place. We commit to putting appropriate technological and organisational measures in place to protect your data, and to reviewing these measures to ensure they remain effective. We protect the security of your information while it is stored and being transmitted by encrypting it. Please note that whilst we take appropriate technical and organisational measures to safeguard your personal data, we cannot guarantee the security of any personal data that you transfer over the internet before it gets to us. The Website may, from time to time, contain links to and from the websites of selected third parties whose websites may contain relevant information about our products, services and research or information. If you follow a link to any of these websites, please note that these websites should have their own privacy policies and that we do not accept any responsibility or liability for these policies. Please check these policies before you submit any personal data to these websites. We keep different types and categories of information for different periods and according to different legal obligations and operational or administrative requirements. We will not keep any data that we do not need or that is excessive for the purpose that it was collected for. We will regularly review the data that we keep in order to ensure that it is accurate and up to date (although you will be responsible for informing us of any change to data you may have given us). We can agree as part of contract how long data is retained for. You have the right to ask us to provide you with details of the personal data that we may hold about you and what processing activities we carry out on that data. This is called a ‘Subject Access Request’. You may make a Subject Access Request by writing to us, either by email or by post. 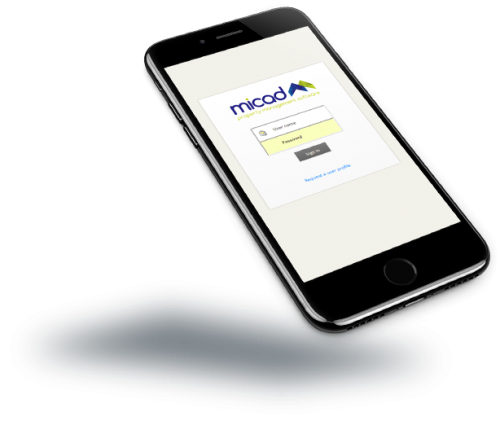 If you would like to request a copy of your personal data or have any other related queries, please email us at info@micad.co.uk. You must identify yourself and specify what information you wish to access. We may need to make additional and reasonable identity checks before we release any data. Although there is no automatic fee applicable to a request for access to the data we hold about you, we may charge a reasonable fee if, in our opinion, your request is unreasonably excessive or repetitive. You have the right to contact us and ask us to amend your personal data in order to keep it accurate and up to date. We may ask you to confirm the accuracy of the personal data that we hold about you when we contact you or when you contact us. We will take reasonable steps to create an accurate record of any personal data you have submitted. However, we do not assume responsibility for confirming the ongoing accuracy of your personal data. You can update your personal data by making amendments by emailing us at info@micad.co.uk. Please note that it may take up to 21 days for the changes to come into effect. You have the right to ask us to erase some or all of the personal data that we hold about you. This may not apply in all circumstances, and we may reasonably refuse this request, for example if there is a legal obligation to retain some or all of your personal data. 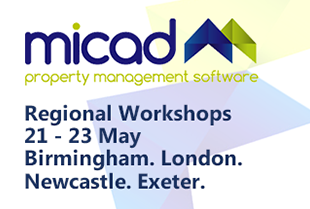 You may contact us at info@micad.co.uk. You have the right to ask us not to process your personal data for marketing or other purposes. We will always inform you (before collecting your data) if we wish to use your data for such purposes or if we intend to disclose your information to any third party for such purposes and request your consent to these activities. If you wish to change your mailing preferences or opt-out of specific marketing communications sent from the Company, you will find an ‘unsubscribe’ link on all marketing communications. If this does not work for whatever reason, or if you prefer to contact us directly you may email us at opt-out@micad.co.uk. A cookie is a text-only string of information that a website transfers to the cookie file of the browser on your device so that the website can remember who you are. A cookie will typically contain the name of the domain from which the cookie has come, the lifetime of the cookie and a value, usually a randomly generated unique number. Cookies can help a website to arrange content to match your preferred interests more quickly and are used by major websites. Cookies cannot be used by themselves to identify you. You have the ability to accept or decline the cookies by modifying the settings in your browser. However, you may not be able to use all the interactive features of our site if cookies are disabled. By using our Websites, you consent to the processing of data about you by the Company and Google in the manner and for the purposes set out above.